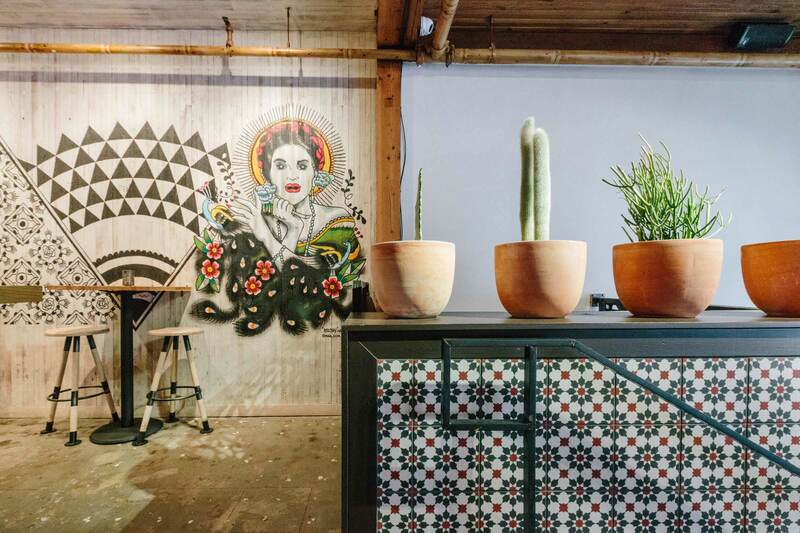 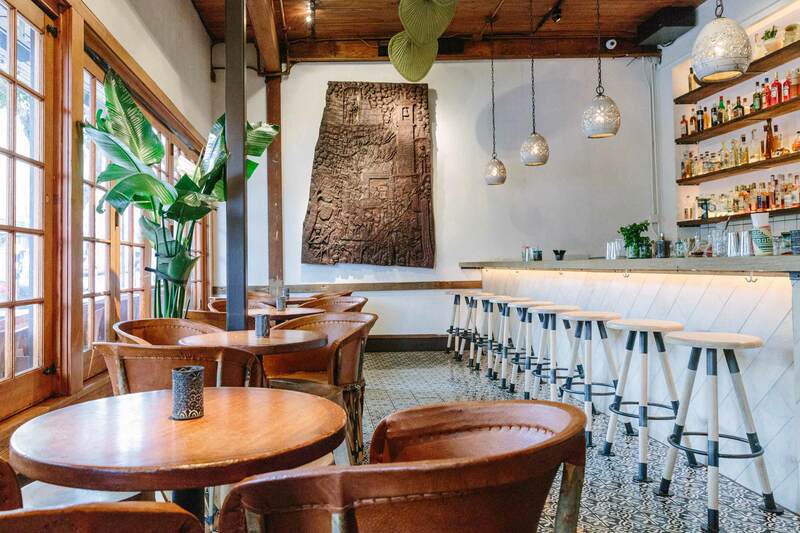 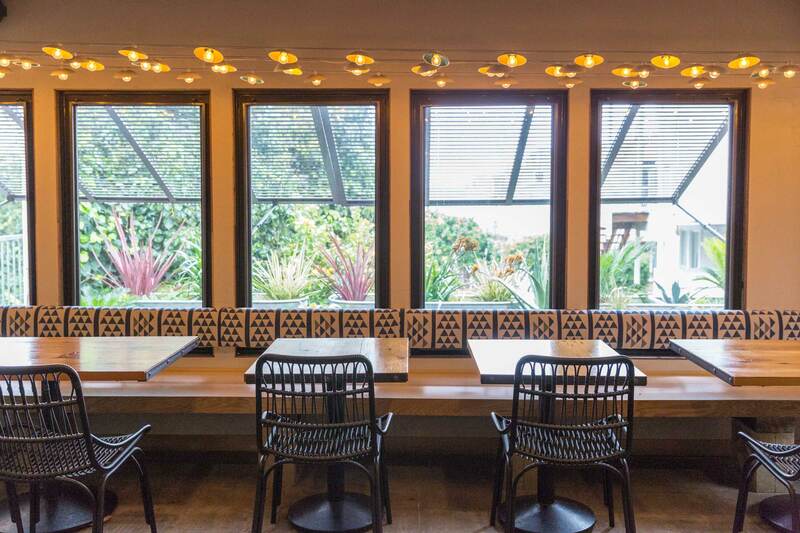 Flores is a modern day cantina located in San Francisco with the spirit of Mexico captured by the interior design. 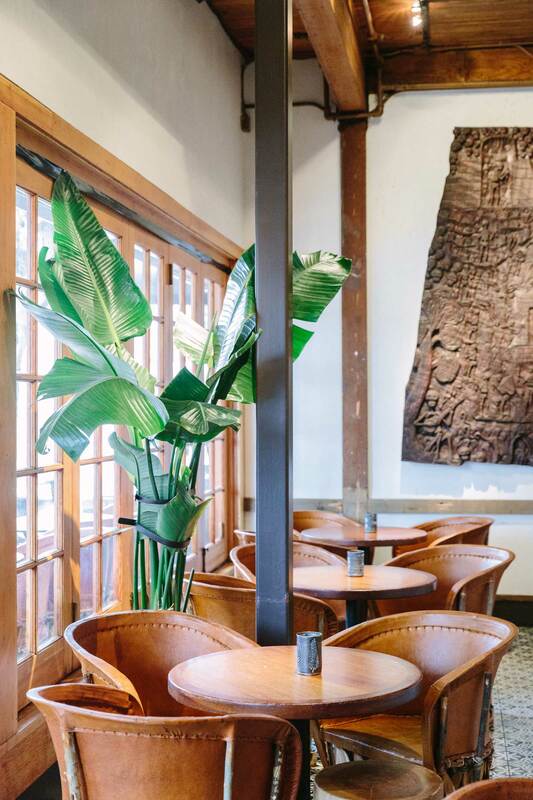 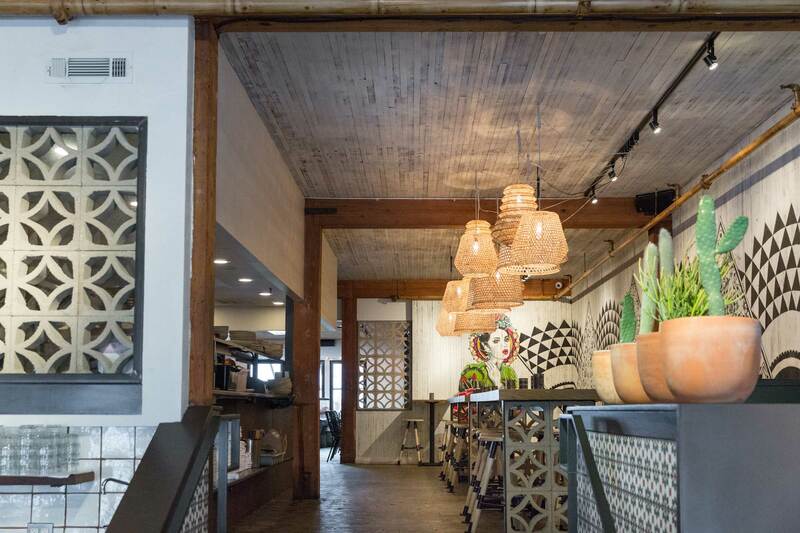 The ROY team pulled inspiration from the natural beauty of the Tulum, Yucatan and Caribbean regions and incorporated flora and jungle-esque plants, authentic patterned tiles, rattan pendant lights, and leather equipale chairs. 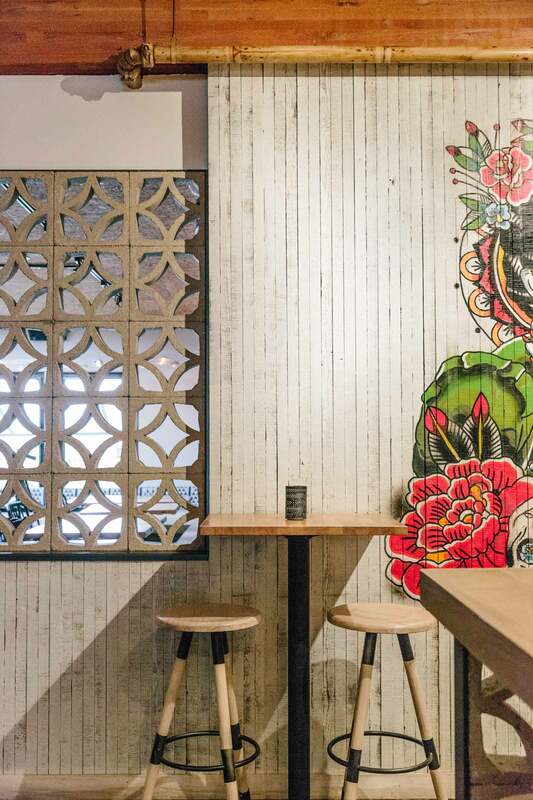 Staying true to the client’s desires, the team created a space that feels authentically Mexican and transports guests to another time and place. 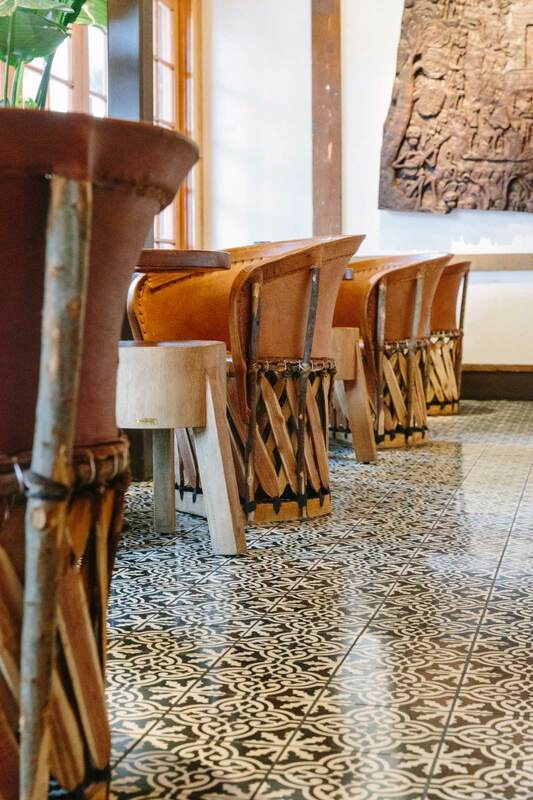 In using textural outdoor materials like wood siding, white stucco and cement floor tiles, the finishes are meant to feel lively, and to bring the outdoors up close and personal. 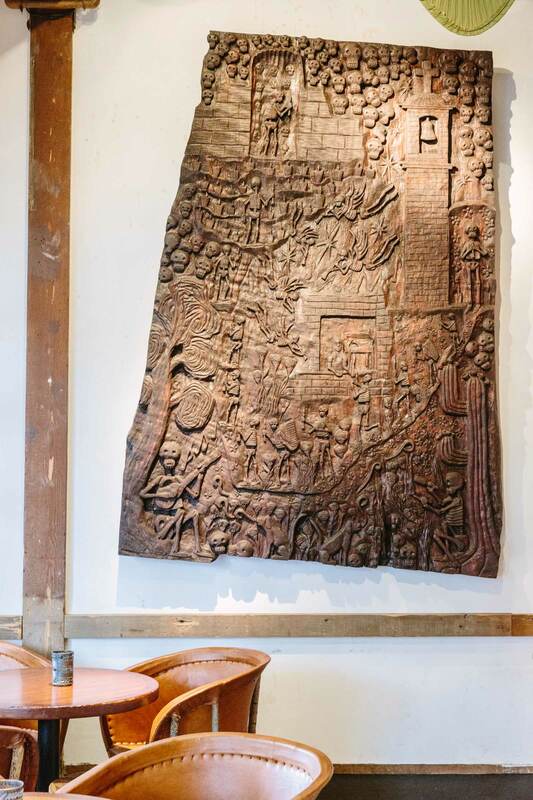 The dark carving in the bar was a commissioned piece by Jesus Sosa, a native to Oaxaca. 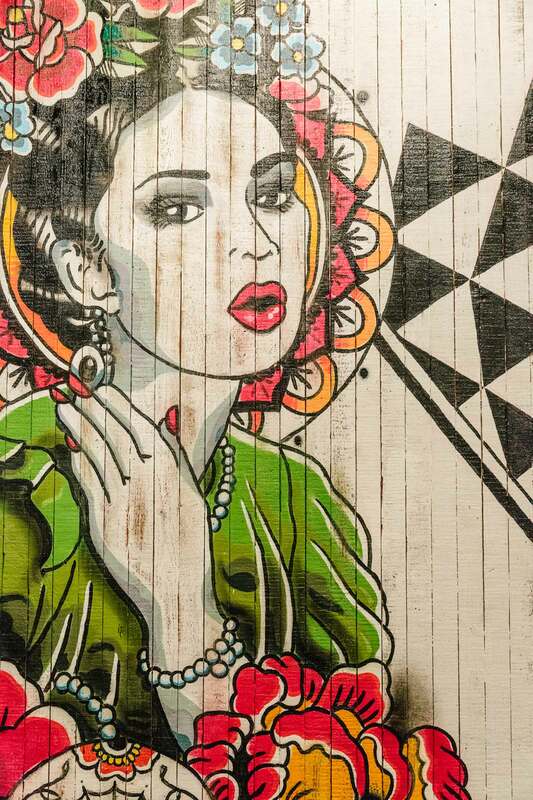 The mural was also a commissioned piece completed by Marcial Cabada “AKA Machy,” a local Bay Area artist.